So far we have not followed any structured curriculum for art. My children have taken art classes along the way, and I always try to supplement our activities with art. I was so happy, however, to receive our latest review in the mail. Finally, I'm able to give my children a COMPREHENSIVE art education! 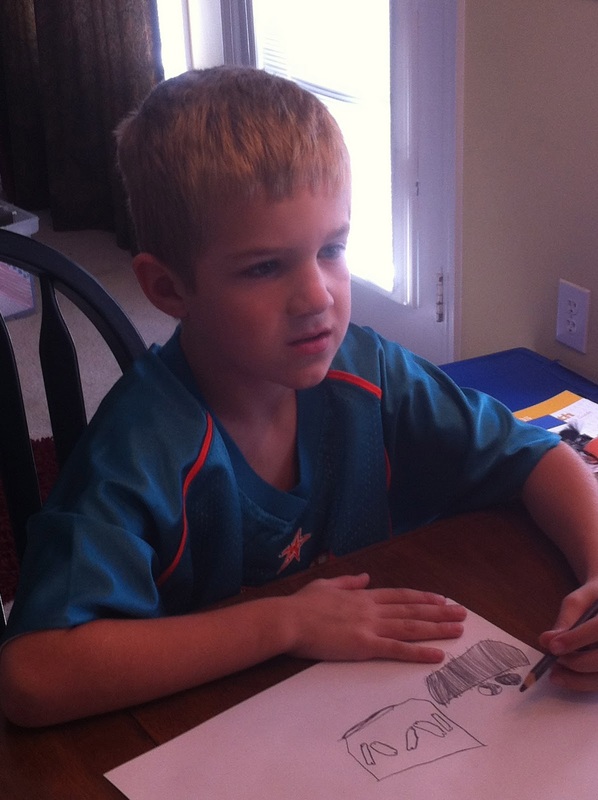 Artistic Pursuits is an art curriculum with offerings from preschool through high school. We have been using book 1 for grades K-3. This book is an introduction to the visual arts. It consists of 32 lessons divided into three sections: WHAT ARTISTS DO, WHAT ARTISTS SEE, and WHERE WE FIND ART. 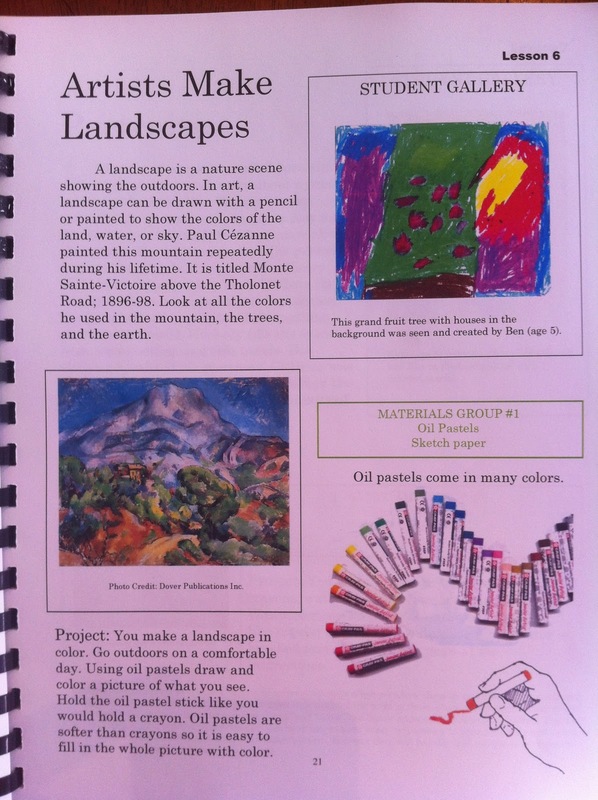 Click here to read more about the book and see lesson samples. In the very first lesson children are taught that artists compose. We looked at a painting (The Courtyard of a House in Delft, 1658 by Pieter De Hooch) and were asked to make observations about details in it. 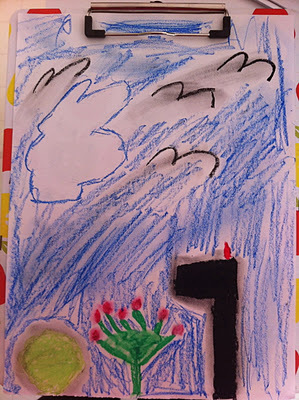 Then, the assignment was to draw a picture of something we had seen that day or another day in our home. My six year old was drawing the microwave with some fruit on top. He took these lessons quite seriously! My daughter drew our neighbor's mailbox with the rosebush growing next to it. We just sat on the quilt outside and made landscapes. We ALL enjoyed working together and learning about art. 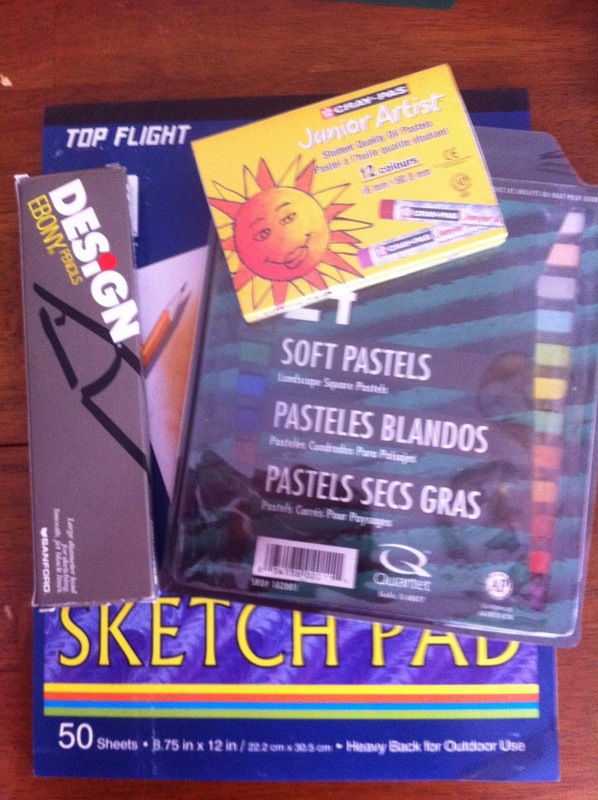 Supplies can be purchased on your own (there is a list in the book) or you can purchase them in packs through Artistic Pursuits. If I had unlimited funds I would buy the supplies right from them, but the pack we needed would have been $96 (including shipping) and we just couldn't spend that. I'm gathering my supplies little by little as we go through Amazon. We were most impressed with this curriculum. The spiral bound book was well done and easy to follow. Lesson were short and engaging. The artwork chosen was BEAUTIFUL and we all learned something from studying the works. In the third section of the book, Where we Find Art, this book fit in nicely with our history studies, talking about Cave Paintings, Byzantine Mosaics, Medieval Illuminations, etc... I liked the sense of history it gave and also the biographies of artists it presented. The price for the spiral bound book we previewed was $45. I'm not sure I would pay that for an art curriculum, but again - if I had unlimited funds - I would definitely not hesitate. You can find out more about the philosophy behind Artistic Pursuits here. Several of my crewmates are reviewing this book, along with others from Artistic Pursuits. Visit the crew blog to read other reviews if you'd like more information! Disclaimer:I received the above named product from TOS Crew in return for my honest review. I have not been compensated in any other form.